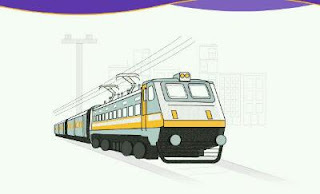 Get Cashback on Train Ticket Booking - FreeServiceHindi.com - Free Services in Hindi. IRCTC Offer: Cashback on Train Ticket Booking. Flat Rs.50 cashback on first Ticket Booking by PhonePe App. Get Rs.25 Cashback on Train Ticket Booking (four Times). 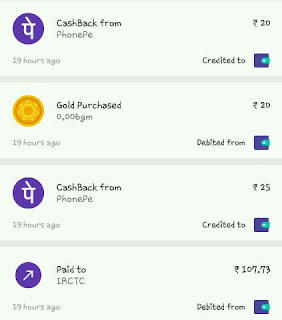 Cashback on Train Ticket Booking: PhonePe is back with a Cashback Offer which Save your money or give you discount on irctc ticket booking. 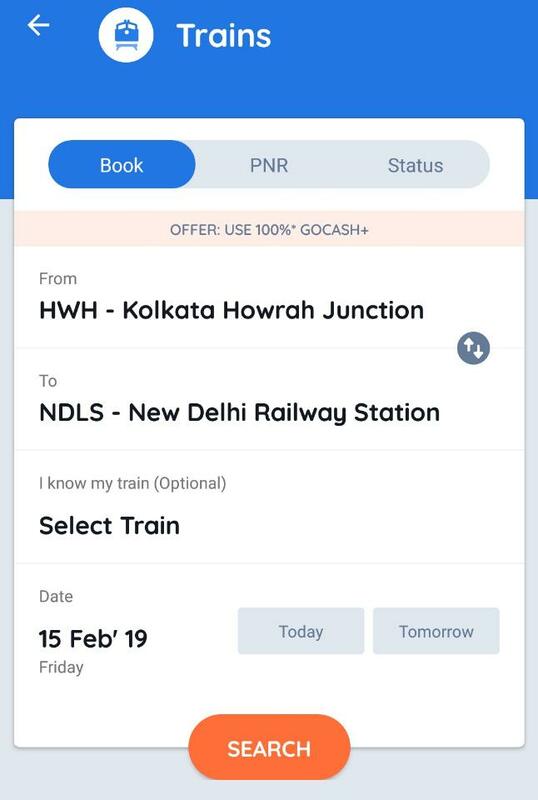 So When you book your indian railway tickets online according to the train Availability, you will get cashback on the railway ticket and this is a offer by Phonepe. So lets proceed and know, What is the IRCTC offer & how to get cashback on irctc ticket booking. PhonePe IRCTC Offer: Phonepe offering Cashback on Train Ticket Booking through IRCTC App. In this Offer you will Get Cashback upto to ₹100. Flat ₹25 back on 1st four transaction on IRCTC Android App on a minimum transaction value of ₹25 each. Means Rs.25 Cashback on first, Second, third, and fourth Transactions Respectively on IRCTC App. And the Minimum Order Amount should be of Rs.25 or More. You will Also get Free Gold Worth Rs.20 on Completing first Transaction on IRCTC App by PhonePe. You can Avail this Irctc Offer from 1st October, 2018 to 14th October, 2018. How To Book Online Railway Ticket & Get Cashback? Istall & Open IRCTC Android App, Login with your IRCTC Account Credentials, make the product selection and proceed to pay. You have Booked your Train Ticket by Irctc App & you will get Your Cashback within 48hrs, Most of the time it credited Instantly. How To Avail free Gold Offer by IRCTC PhonePe? After booking train Ticket Or Completing 1 transaction on IRCTC App paid via PhonePe and be eligible for the Free Gold offer. Click on the Gold icon shown in the Home Page. Choose the provider from whom you want to purchase Gold. Buy Gold worth ₹20 or more during the offer period and pay via UPI/DC/CC during the offer period to get ₹20 cashback. Get Rs.100 Cashback on Online railway Ticket Booking. PhonePe IRCTC Offer: Phonepe offering Cashback on Train Ticket Booking through IRCTC App. In this Offer you will Get Cashback upto to ₹100. Flat ₹50 on first two transaction on IRCTC Android App on a minimum transaction value of ₹50 each. Means Rs.50 Cashback on first & Second Transactions Respectively, and the Minimum Order Amount should be of Rs.50 or More. Try This: Rs.25 Cashback on Train Tickets Booking (four times), Valid Till 14th October. You can Avail this Irctc Offer from 15th August, 2018 to 30th September, 2018. Click on “Pay” to complete the transaction. Done!! You have Booked your Train Ticket by Irctc App & you will get Your Cashback within 48hrs, Most of the time it credited Instantly. Read This; How To Pay IRCTC Through Tez? 1. When the cashback Will get Credited? Ans. Cashback will be credited as PhonePe wallet balance / gift voucher balance within 24 hours of successful transaction. 2. What will happens in case of refund/cancellation of my order/ticket? 3. What Can be done through the cashback amount? Ans. Cashback gift voucher can be used for recharges, bill payments and payments on PhonePe partner platforms/stores. Cashback gift voucher cannot be withdrawn to any linked bank account or transferred to other customers wallet. 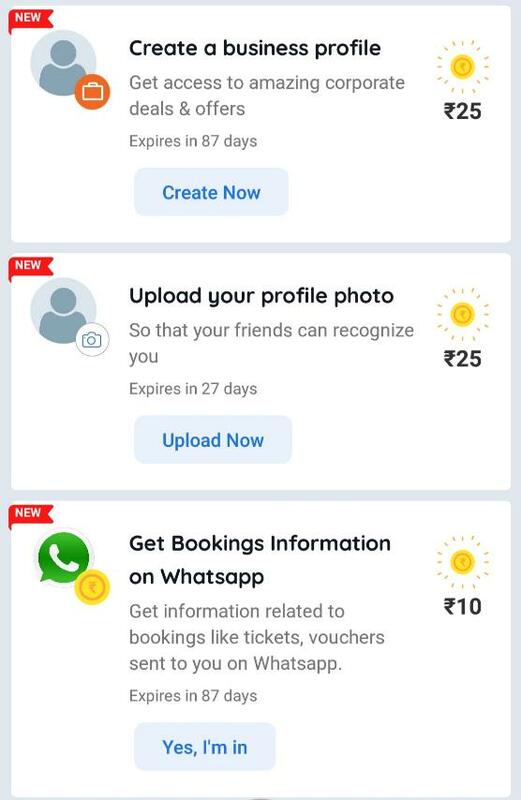 I hope you have got all details about How to get Cashback on Train ticket Booking by irctc, Irctc phonepe offer, how to book train ticket using irctc app, and How to pay irctc through phonepe. If still having you any problems regarding this then feel free to Comment Below.